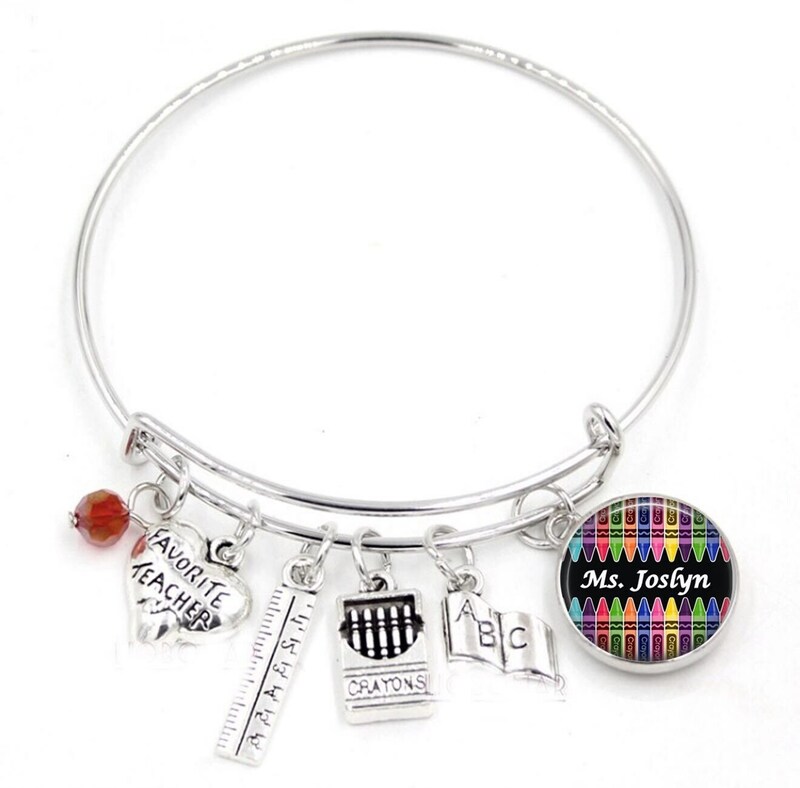 Bangle Bracelet - Teacher - Educator - Teacher Appreciation - School - Themed - will make a great addition to your store. --Select your charms...you may select one or all of them for the same price. --Customize your snap photo charm with your school name, image or logo. Send your high quality image to studio66llc1 [!at] gmail.com as well as charm preferences and any other special requests. --Bracelets are designed with brass and zinc alloy charms. 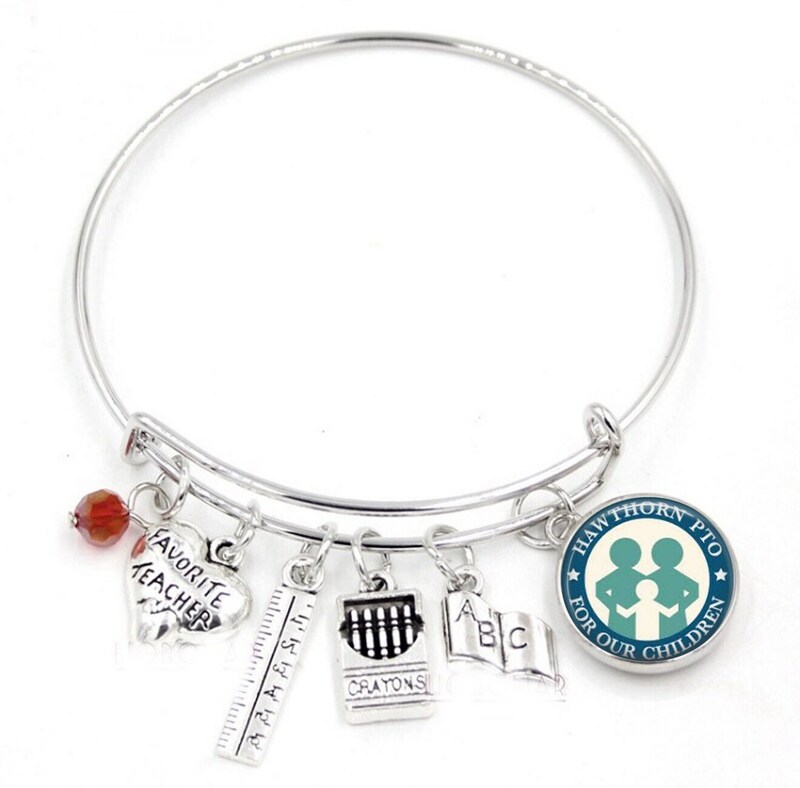 Charms range in size from about 1/2" - 1"
These bracelets are great for Teacher Appreciation, teacher gifts, fundraising, and educators and education-themed events. If you would like other charms not pictured, we can work with you on that as well for a small additional charge. If you want a greater or different quantity we can accommodate that as well. Bracelets can be sent in organize gift bags if that is your preference.